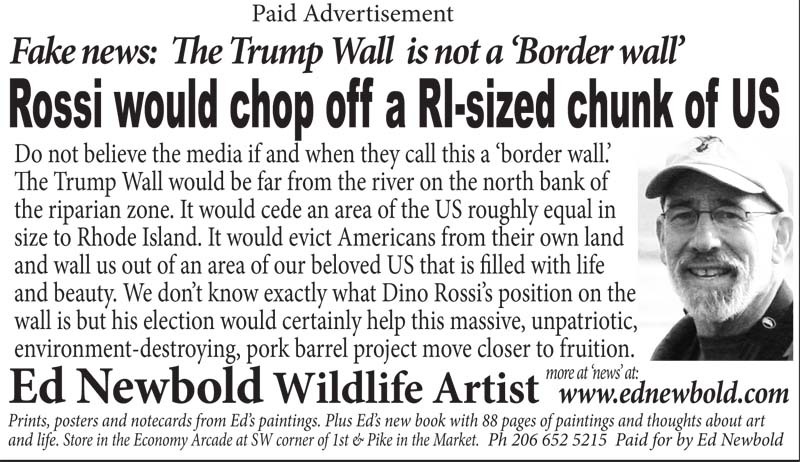 I am running another ad in the Seattle Times November 14, 2017 against the Trump Wall, shown above. An Altimira Oriole in a spot that would get chopped away from our country if the wall is finished. My reason for continuing on this subject is my alarm, not just at the wall-supporters but also at wall-opponents. I have been told this countless times by Democrat-Party-leaning friends in Seattle: “Don’t worry about it, the wall won’t get built.” But when I recite my most significant concern about the wall, most people aren’t aware of it: That the wall is not on the border, but far onto the American side, and will chop a significant piece of real estate off of our country. 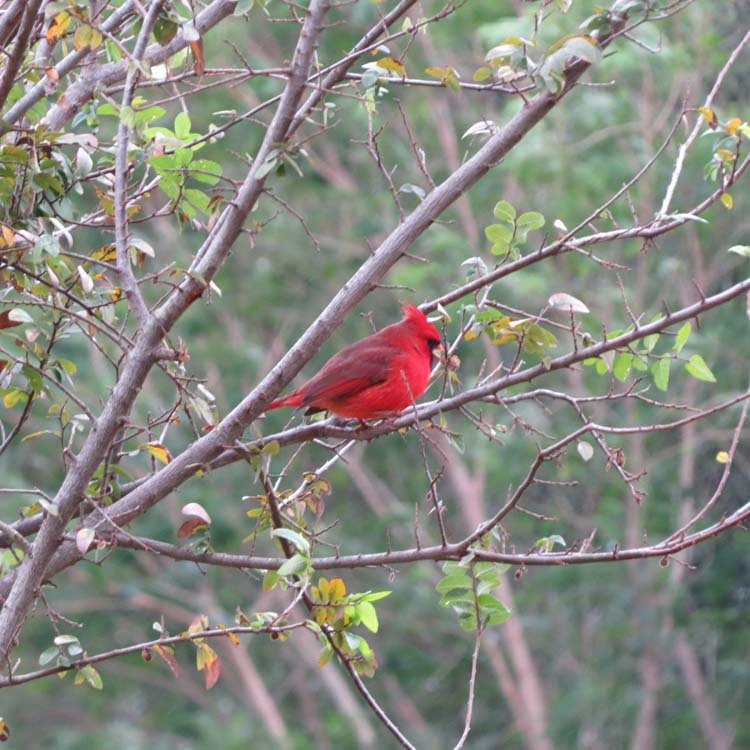 Northern Cardinals in the Rio Grande valley are brighter than their cousins in the East, midwest and Southwest. I ascribe the lack of awareness of this partly to Democratic Party leaders who are not fighting the wall in a spirited way, but rather in positions that could be likened to footnotes in an academic paper, the way they managed to fight the Keystone Pipeline for years yet never mention eminent domain or government-subsidy. Perhaps contractors lining up to build the wall are part of the Democratic Party leaders financial contributors? I certainly don’t know and am not making this charge, but the lack of vehemence in opposing the wall speaks to some type of weakness. 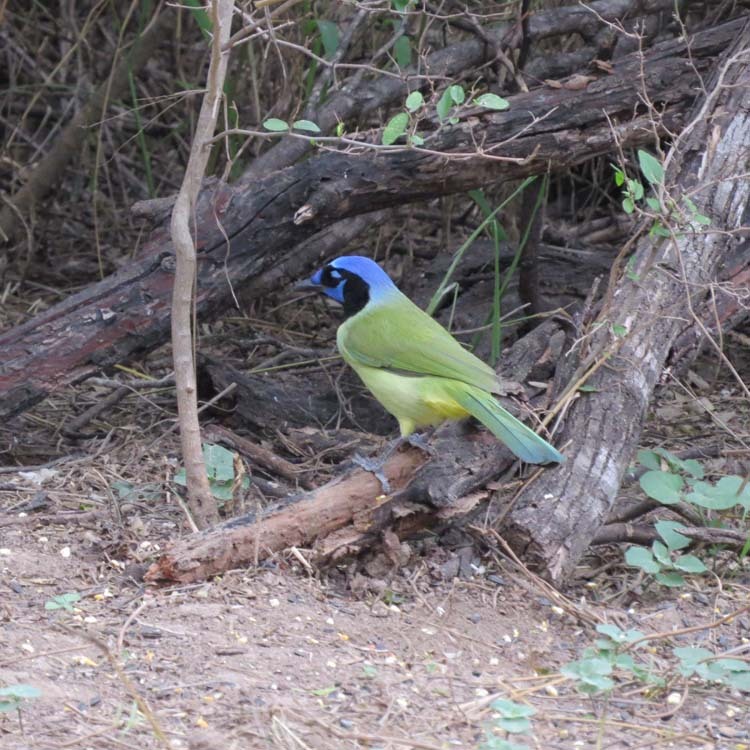 The Green Jay is abundant in good habitat in the lower Rio Grande valley. But even more, the mainstream media has failed to notice the land-giveaway and America-eviction story that the wall already is. Recently I noticed in easy-to-google places that NBC and the Washington Post have both called the wall a “border wall” even though it is not on the border. NPR has once called it a “wall along the border,” which I feel is better but also inadequate. “Wall in the general vicinity of the border” would be accurate. It’s come to that. 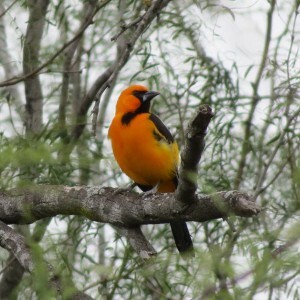 A major policy initiative blindly supported by one of America’s great and venerable political parties would redraw our borders to make our country smaller while it forces Americans off their own land and bars Americans from seeing one of their own natural wonders. It will violate the sacred moral principle, ‘Love thy neighbor.’ It’s a new low in American politics, but don’t worry, there’s a bright side: It’s setting the stage for some great jokes!